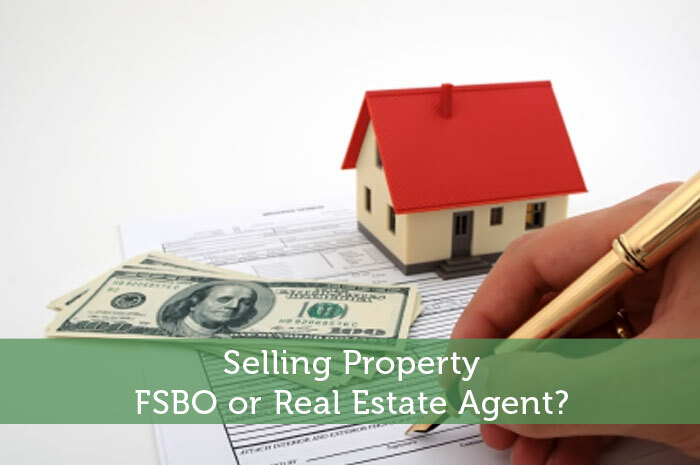 The following is a guest post about whether you should use FSBO or a real estate agent when selling property. If interested in submitting a guest post, please read my guest post policy and then contact me. Real estate has become a rather lucrative business these days and if you’re looking to sell a piece of property, you might be wondering whether to go at it yourself or hire a real estate agent to do it for you. Of course, you could be tempted to go FSBO and save the expense of hiring a real estate agent but then again, there is the upside of getting a professional to do the dirty work. So, “fizz-bow” or agent? For sale by owner or FSBO, pronounced “fizz-bow”, is a real estate term wherein the owner sells his property without hiring the services of a real estate agent. The most obvious advantage to this is that you don’t have to pay anyone to help you sell your property. Most real estate agents will probably get five to eight percent of the total sale of your property. If you go with FSBO, you get to keep all the profits of the sale to yourself. Another upside to FSBO is that you get to have control over your appointments. This means there won’t be “surprise visits” at the drop of a hat. This could prove beneficial, especially if you are presently residing at the same property you’re selling. Real estate agents may sometimes call you without a moment’s notice that a potential buyer is looking forward to seeing your property, in which case you have to vacate the premises with some amount of haste so that they may be able to view the property without your influence. You also get to control the negotiations and the whole process from start to finish. You get to sell your property and market it however you want it. The cons of FSBO, however, may stem from their very pros. Yes, you may be able to save a bit of cash by not hiring an agent but then, without the advice of an expert, your property might stay a bit longer in the market. Realtors are also skilled at haggling for a bit more than you are so it is always useful to have that kind of push on your side. Also, real estate agents will be able to appraise your property and its worth more appropriately. Without an agent, you will also have to do all the dirty paperwork by yourself. This can be confusing for a lot of homeowners, especially if it is your first time to sell property. You have the option of hiring an attorney for closing paperwork, however, but that is another added cost. A lot of homeowners find the whole process of FSBO very frustrating and time-consuming. Hiring real estate agents may cost you some amount of money but there are pros to consider in getting a professional to do the job, as mentioned above. One of these advantages is the contacts. Realtors have a wide range of contacts that you, the ordinary owner, do not have. Sometimes, it is who you know that really matters and not what you know. Experienced real estate agents have contacts in spades. If you are looking to sell your home real quick, then a real estate agent can do it for you, too. They have experience and, yes again, enough contacts to do the job for you faster. Realtors are also ahead of the game when it comes to marketing, so you don’t need to worry about having to promote your property. The most probable downside to hiring a real estate agent is the cost, which is also the more tempting side of FSBO. Consider that, while there is a lot of advantage in hiring someone with the knowledge, skills, and contacts, you may also have to scrutinize the experience of the agent you are about to hire. With real estate business on the rise, there are many realtors and you might just be unfortunate enough to hire someone that is a little wet behind the ears. Take note, however, that the emergence of FSBO solutions, are making the entire process of selling your home privately much easier. Solutions like this are now offering real estate listings on their highly trafficked websites, expert tips and advice, a listing in a local newspaper or real estate magazine and, in some instances, even a MLS listing. Selling Property: FSBO or Real Estate Agent? I think there’s a tough/fine line between maximizing price and process versus commission. I believe it’s worth it if you get a great broker. I just bought a house and put an offer on a FSBO and the seller got cold feet. Then I used a buyer’s broker, who seemed good, but new less about the home values and seller’s level of motivation than me. He told me my first offer should be $15,000 MORE than the FINAL price we agreed on. My offer was $35,000 less than what he thought my initial offer should be. That’s from the buyer’s side, but my point is a great broker and informed buyer/seller is the best combo IMHO. Sounds like you got a pretty good deal on your purchase. Your FSBO offer is kinda similar to my experience with the condo I almost bought. The seller’s realtor was so inexperienced that it was practically FSBO. Luckily on the second time around I had an awesome realtor. As a seller I’d probably want to use a realtor just to make the process go smoothly and prevent giving in to too low an offer. My mom is a realtor so I may be a bit biased, but I think if you find the right agent they will make you more money than they will cost you. It’s really hard to market and price the home correctly unless you work in the business full-time. Plus, having an agent do most of the work takes the liability and stress off of your back. For a few percentage points, I’ll gladly hire a realtor anytime I sell my home. Good points Jake…even if you may be a bit biased lol. I completely agree that it would be worthwhile to reduce the stress and liability. The process is already going to be stressful. So why add another layer of stress that might also end up with a lower sale price? I think a lot depends on how good you are at negotiating and marketing yourself. Either way though, it would be nice to save yourself the time and stress. I would really like to know if there’s a graph out there that compares Fizzbow selling to agent selling. Although the agent is taking 5-8%, are they bringing in more than that in value of the home? (As well as the stress they take away). I’m also curious when someone is selling FSBO, and they’re negotiating and selling the house, is that likely to make potential buyers feel uncomfortable? Unless a person is already a great with people and great at sales, it may be better to have an agent do it. There are likely some kind of stats out there, but with all the variables involved in might not be that accurate to your own situation. I agree that a buyer may be more wary of dealing with a FSBO. The ones that are more comfortable may be thinking they can take advantage of the situation and get a much cheaper deal. I’d also like to see the stats. Maybe we’ve just had bad luck, but it seems that the two different transactions we’ve been involved in could have been handled by ourselves with the same outcome but 3%-6% more in our pocket! I am all about the agent. I was thinking about doing it on my own, but then did the time/cost analysis and found it wouldn’t be worth my time. I would rather pay the percentage and then move on with other things, like the mortgage of a new home or moving arrangements. Yeah it probably does take a lot more time than you might think. There’s a lot more involved than simply showing your home to buyers and negotiating a deal. While I don’t believe going the FSBO route would work for me – some things are worth hiring a professional and more convenient to me – it looks like there is some good information here for those that might consider that option. Yes hiring a professional for some things totally makes sense. That’s especially true for people who lead a busy life and time is very valuable. I’ve never sold a house, but it does seem to be a lot of hassle to go the FSBO route though. If Redfin services the area, I might go that route as I believe you can save on commission compared to traditional agents. There are some agents that you can hire for a lower commission. I do wonder about the difference in service though. There must be some reasons why they can charge so much less. I think I’d always use a realtor, but my sister did a FSBO once and hired a realtor just to do the contracts for a few hundred dollars. It could work well for the right area and personality, but because of having to prescreen people to make sure they are legit buyers, I wouldn’t want to. Interesting option. I’d think that would be worthwhile if you do go the FSBO route. I hadn’t thought about pre-screening people. I guess that would be pretty crucial to ensure you’re not wasting your time or taking on any kind of risk. The key is a ‘good real estate agent’. If you use the wrong agent they could push to close at too low a price or they could cause other problems. I have always used realtors in the past to both sell and buy property. I suppose if I wanted to sell today, I might go FSBO because the market where we live has been very hot. Of course that will probably change in less than a year. I don’t think a hot market would affect my decision to use a realtor. In that situation I’d want help getting top dollar and also take care of the work involved. We used a realtor to sell our house last year. It’s definitely a big help to have someone who is familiar with the process giving you advice, handling showings, taking care of the paperwork, etc. But the level of service really varies…some realtors are excellent and are well worth the commission while others barely bring any benefit at all. Very true. I’ve dealt with both kinds of realtors. So you’ll definitely want to do your research to find a sold realtor to help. For me, it’s all about the return. Is saving the 6% in my case worth the hassles of selling the house on my own? If it is, then I will go the FSBO route. Otherwise, I’d rather pay the commission and not have to worry about the headaches. For sure, it depends on your situation. If you have lots of free time and wouldn’t be doing something more productive, then selling on your own might not be a bad option. If you are an absolute novice, it is a good idea that you have someone knowledgeable in real estate to assist in the selling of your home. However, if you want the absolute best price, you are likely better off selling your home yourself. I have known many real estate agents to phone it in, in order to complete a quick sale and payday, when they could have held out a bit longer and gotten the home owner a much better price. There’s also the middle route. Various companies, most notably Redfin, will give you a significantly discounted rate, so you save money, but still get the help. I’ve known a few people who have used it, and it’s likely the route I’ll take when it’s time to sell my place. The key to success with FSBO sales is to price the home right. If you do, you’ll sell it pretty quickly. You don’t need to be listed on the MLS to do that either. There are plenty of alternatives to the MLS now. Another important point for FSBOs is to make sure that you have a professional looking sign on the front yard. The typical FSBO sign that you buy at an office supply store or Home Depot screams desperation, and can set you up for low ball offers. You have to have a sign that doesn’t necessarily look like a FSBO situation. And for what it’s worth, Millennials a showing an increased preference to buy homes without using an agent. They know that one way or another, they’ll pay the commission through a higher price.